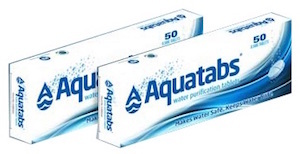 Aquatabs are tablets used to rapidly disinfect large or small quantities of drinking water. In thirty minutes it effectively sanitizes the water, effective against all waterborne pathogens. The tablets are often cheaper than the fuel needed to boil water and less prone to reinfection. Aquatabs have been field tested and found to be effective for a wide range of water conditions. 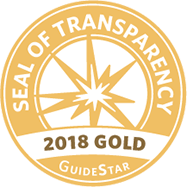 Medentech has found the taste of the resulting water to be acceptable to all cultures. The product is available for a range of water quantities and can be packages in either tubs or individual blister packs. Aquatabs are manufactured by the Medentech corporation, based in Wexford, Ireland. Medentech began making disinfectant tablets in 1984 and has since developed tablets for drinking water purification.